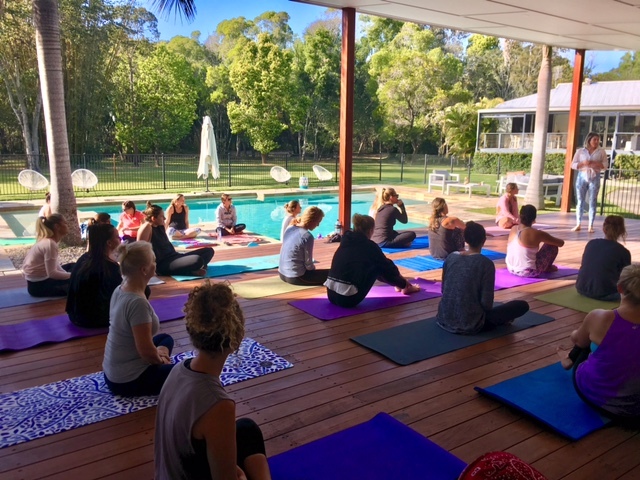 YOGA + SCULPT is delighted to be apart of the Gold Coasts creative community at TVM. The Village Markets are not just 'a market', they are collaborative, support community of small businesses, designers, artists, creatives and lovers of good vibes. Trading on the first and third Sunday of every month at Burleigh Heads State School 8.30AM - 1PM. The stalls are all SO AMAZING! They are unique quality finds and leading up to Christmas you can find the BEST presents! INCLUDING THE YOGA + SCULPT YOGA MATS!!! Spoil someone this Christmas with a beautiful gift to encourage health and wellness. TVM were kind enough feature YOGA + SCULPT on their Designer Profiles. Check out my little interview below! Make sure you visit YOGA + SCULPT this Sunday 19th November! READ MY DESIGNER PROFILE INTERVIEW HERE! There is no better feeling then bringing people together to increase their self awareness. There is no better feeling then surrounding yourself with like minded people. There is no better way to spend a Sunday morning then with YOGA+SCULPT at Sands North Byron. I was super excited when Amanda from Happy Daze blog approached me with this Spring Stretch vision. Amanda wanted to create a morning of self importance, awareness and basically a chilled out event for the local community to enjoy. The local area of Brunswick Heads and South Golden Beach are special gem coastal towns that are often forgotten or bypassed for Byron Bay. The low key and peaceful vibes are in abundance and we thought there would be no better venue than Sands North Byron to host this event. A message from Amanda at Happy Daze - "Thanks to every single one of the ladies (and two extra special men) who attended. Happy Daze was able to make a $360 donation to a local charity. When I was talking to Anne from The S.H.I.F.T Project this week she was overwhelmed by the generosity of our community. The money raised will help fund materials for their creative projects giving the women involved skills and a sense of purpose. The yoga was beautiful, the space tranquil and the connection heartfelt. However the most rewarding component of the day was to be the glue that brought these people together to show a simple act of kindness." Please enjoy the photos and make sure you follow all of us to stay up to date of future events! It was September 2015 when I started this journey! As everyone knows LIFE GETS BUSY!! The universe will direct you down many different paths and the thrills of life are exploring those paths even if it's in the opposite direction to your true future and true self. My working life has always been a privileged one. I was lucky enough to earn a living traveling doing what I love! I was a young wide-eyed 18 year old traveling the world and modelling full time. Among my travels I discovered YOGA! While on a 3 month contract in India I stumbled across the most incredible temple and people where inside practicing yoga. I joined in even though I could not understand a word of Hindi and they could not understand me. There I was; a tiny blonde white girl joining in their practice just smiling and nodding at them while I copied their movements. I was hooked from that moment! After spending 5 more adventurous years modelling and travelling I decided I was ready for some stability. I wanted to feel grounded. I was sick of living out of a suitcase and constantly saying goodbye to my incredible partner James. Modelling was still apart of my life however it was not my full time income and I was focusing my energy on health and fitness! Health and fitness became my exhilarating passion! I found that buzz that I used to get from modelling. I LOVED HELPING PEOPLE! Achieve fitness goals; achieve personal goals and watching people transform not only their physical bodies but their inner body too! Once instructing became an everyday thing I starting searching for the perfect exercise mat... They were all so boring! There was nothing in the market that was inspiring me and encouraging me to get up and go exercise. So... I decided why not MAKE MY OWN YOGA MATS! The design process was fun! I'm a creative person and seeing my vision come to life was really special. Take a look at some of the early inspiration and design concepts below. Gathering colours, designs and pattern inspiration. Designs go back to graphic designers with my notes for revision and tweaks. Comparing designs, picking favourites and logo placement. 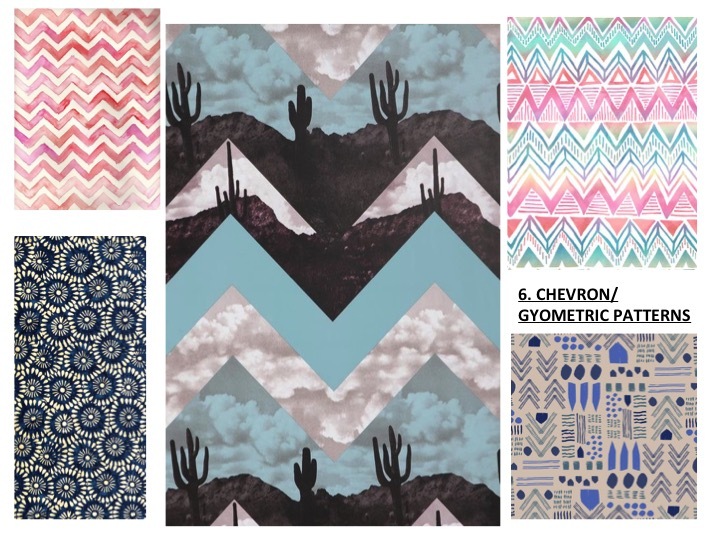 Being overly excited and proud about the final design selections for the first collection of Y+S mats. Things where really starting to come together when... INSERT LIFE DISTRACTION! I was listening to my head instead of my heart and decided it was time I got a 'real' job. I started working 5-6 days a week. I thought this is what everyone else does, it must be the right thing to do. I ignored so many of my instincts and continued down this path for a whole year! Before returning home I quit my job... It was the most liberating and uplifting feeling!! THIS IS THE MOMENT WITH MY HUSBAND AFTER I SENT MY LETER OF RESIGNATION! PURE HAPPINESS! Feeling more like myself than I had in over a year I was back to freelancing, working for myself and creating my own path! Listening to my heart always! With the endless support of James and myself I got back to making my yoga mat dream become a reality! AND HERE THEY ARE TODAY!!!!! Thank you for taking the time to read the 'short' version of the evolution of my YOGA + SCULPT YOGA MATS. I am so proud of these products, they have truly been designed with nothing but love and a good intention. You will feel the positive energy as soon as you step on to your vibrant Y+S mat. That's one way to bring awareness and calm to a fast paced city! 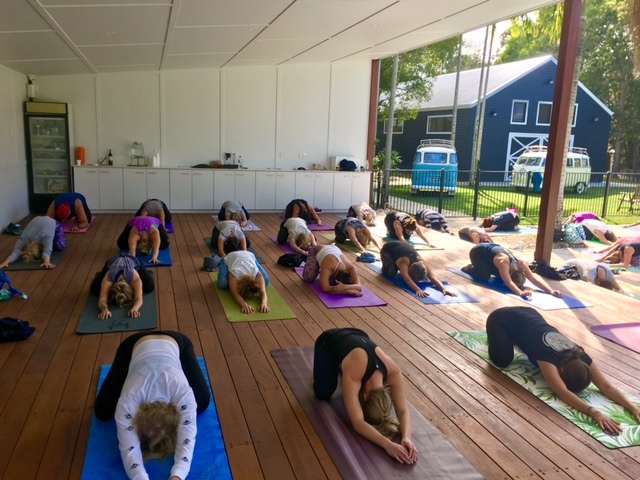 Last week YOGA+SCULPT joined forces with Beginning Boutique and Coco Bliss. We put on an amazing yoga class in the middle of Queens Street Mall in Brisbane City. With hundreds of people surrounding us and thousands passing by throughout the class duration it was a very special event to be apart of. Once the class began we were aware of the starring eyes around us but it suddenly didn't effect us directly; WE WERE IN OUR OWN SPACE! Connected and sharing a moment in time with each other. For several people it was the first time trying yoga and I can't thank them enough for being so brave to share their experience with us. It was truly unbelievable how calm and centred we all felt after the practice, it was almost as if the rest of the city fell away and nothing else matter... except US, OUR BODIES and OUR BREATH. Sun Salutations (or Surya Namaskar) are traditionally performed in the morning to greet the beginning of a new day and to essentially 'salute the sun'. The sequence of 8 postures can be a complete practice in itself, or can prepare you mentally, physically and emotionally for a longer asana practice. If you are a beginner Sun Salutations can be quite strong for the body. The flow is designed to warm up your muscles and increase heat and energy within the body. I generally recommend 4 sun salutations at the beginning of a class. You can increase or decrease this depending on the purpose of your practice. Each time you flow through this sequence, synchronize your breath with the movements of your body. Allow your inhale and exhale to move you to the next pose. Want to know the Sanskrit names for each pose? Click on the button below to view or purchase the YOGA+SCULPT Morning Flow+ poster or download which has been specifically designed to wake up and energise your body. The poster includes a variation of Sun Saltation A. Morning Flow+ is a simple 20 minute flow that will leave you feeling absolutely amazing! !